Need quality Internet Marketing for your Las Vegas business? Where does your company rank in search term results for your most relevant key terms? 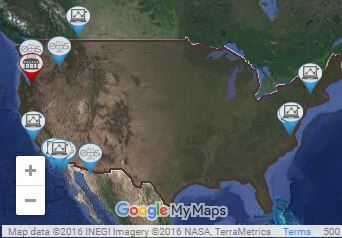 Do you appear in the local geo-results for most cities where you offer services? How is your company doing on reviews sites? If you do not know the answers to these questions or the answers are less than desirable, you cannot afford to ignore your lack of positive Internet presence. Effective Web Solutions offers free consultations that demonstrate the current marks your business is hitting. We show you the potential that Internet marketing in Las Vegas has to increase your business. Find out where your top competitors stand on key term results, website clicks, and domain metrics compared with your website. We deliver expert suggestions for improving your Internet marketing, free of charge. EWS has a team of highly skilled staff with expertise covering a full range of proven Internet marketing services. This includes PPC and reputation management campaigns, web designs that increases user engagement and conversion rates, remarketing, content management strategy, SEO, link-building, creating citations, and video marketing. We understand that not all marketing is right for every company. We offer different packages so you can find one that fits into your business plan and your budget. Why do I need Internet marketing in Las Vegas? Did you know that current studies show 88 percent of consumers research services and products online before making a purchase. That percentage is simply too high to be ignored. Having little to no Internet presence makes you invisible to a vast majority of consumers. Internet marketing in Las Vegas builds that presence for you, increasing customer contacts on a measurable basis. Internet marketing is an interconnected web of efforts on multiple fronts. It involves a lot of behind the scenes work built into a web design as well offsite efforts that build valuable links and boost positive reviews. While there are some things individuals can do on their own, Internet marketing in Las Vegas takes a full-time team of experienced staff to be successful. Google makes constant changes to its algorithms without any explanation of what adjustments need to be made in order to continue high rankings. Constant testing and research is necessary to keep up. EWS takes that pressure off our plate so you can concentrate on running your business. We accomplish for you what it would take and additional team of 5 to 8 staff members and a major increase in payroll to accomplish on your own—and we do it for a fraction of the cost hiring those expert employees would take. 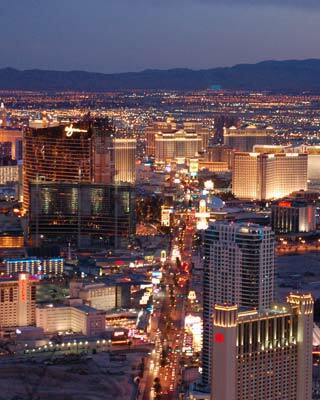 Contact us for your complimentary comparative report on Internet marketing in Las Vegas.